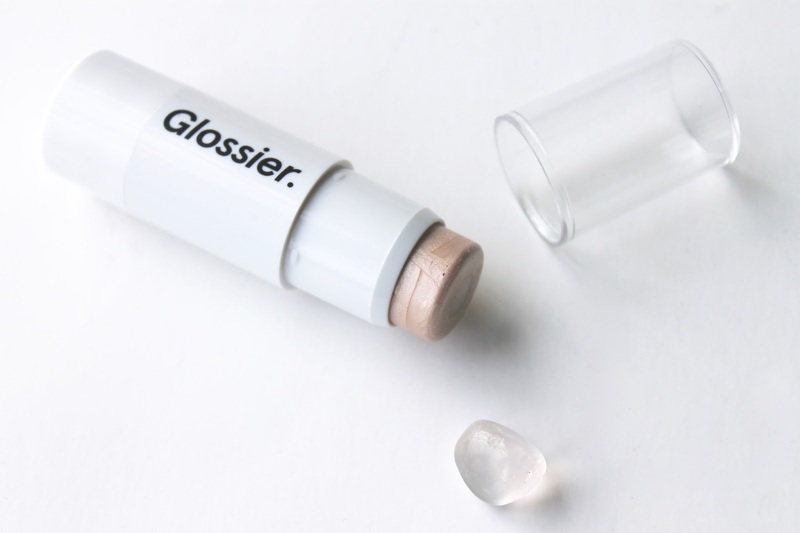 Glossier Haloscope is a highlighting stick, comprised of an outer ring of sheeny, crystal-infused luminosity, and an inner moisturizing core made from almond oil. Seeing as I can never pull off a highlighter that's darker than my skin tone, I went for the lighter of the two shades offered - Quartz. You guessed it - it's infused with actual quartz crystal dust, which provides both color and has alleged "healing properties". I guess that part depends on your beliefs, but it doesn't hurt to have more good vibes, am I right? As soon as I swiped the stick I noticed that the shimmer that's contained in the stick reflects light really well, without having any chunky glitter particles - something I don't appreciate in my "natural" glow. The outer core is gorgeous, and the perfect texture to boot. It maintains the perfect balance between moisturizing and not greasy, but to be honest, the balmy center isn't necessary in my opinion. I'm never a fan of a stickier highlight, because it tends to move around when the weather heats up. The quartz based glow, however, is so good that I've been working around that. If you apply the product straight from the stick and sweep it on the cheekbones, you do notice a missing stripe of color, because the core doesn't contain any shimmer - so you do have to blend it and add more. I find that it works best for me when I swipe my finger along the outer rim, and then dab the center slightly - just for the added glow - just not enough of it to make things feel sticky. 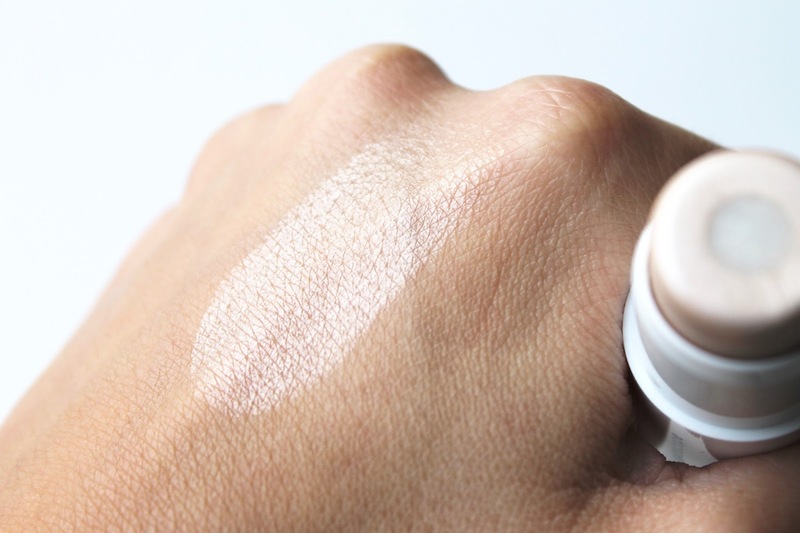 The result is a real radiance - not shimmer - similar to that of my standby RMS Living Luminizer, but a bit more pink in tone...like the Clinique Chubby Stick in Hefty Highlight. I'm a fan, even if I don't loveee the inner core. For that glow (see above swatch) - I can deal. 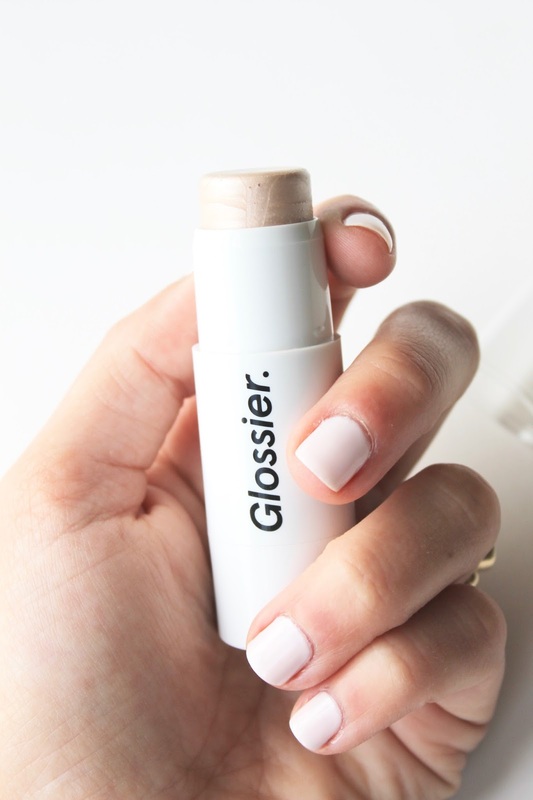 Have you tried the new Glossier Haloscope?